Benoît Maubrey is a contemporary artist born in Washington, DC in 1952 to French parents. He graduated with a BA from Georgetown University in 1975. Since 1979, he has lived in Berlin and Baitz. In 1992, Maubrey co-founded the non-profit arts organisation Kunstpflug e.V. He is also the director and founder of DIE AUDIO GRUPPE, a Berlin-based art group that build and perform with electronic clothes. 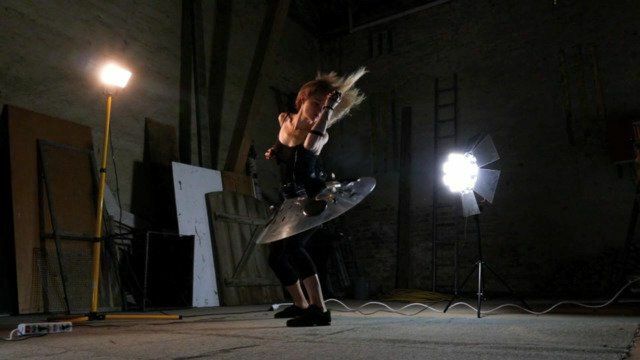 He creates interactive works that combine performance, dance, sound/electroacoustics, and sculpture. His works frequently incorporate discarded public monuments and recycled electronics, bringing new meaning to each through its interaction with the other. His work has been presented internationally, including at Kobe Biennale, 2015; Deutsches Technikmuseum Berlin, 2015; ZKM, Karlsruhe, 2013; Zero1 Festival, San Jose, 2010; NAISA, Toronto, 2009; MOSTRA DES ARTES SESC, Sao Paolo, 2008; Singuhr-Hörgalerie, Berlin, LEM Festival, Gracia Territoria Sonor, Barcelona, all 2004; Seoul Performing Arts Festival, 2001; Musee des Arts et Industrie, Saint-Etienne, 2001; SONAMBIENTE Sound Art Festival, Berlin, 1997; International Symposium for Electronic Art, Helsinki, 1994; and Festival les Arts au Soleil, Aeronef, Lille, 1990.